Time’s up. 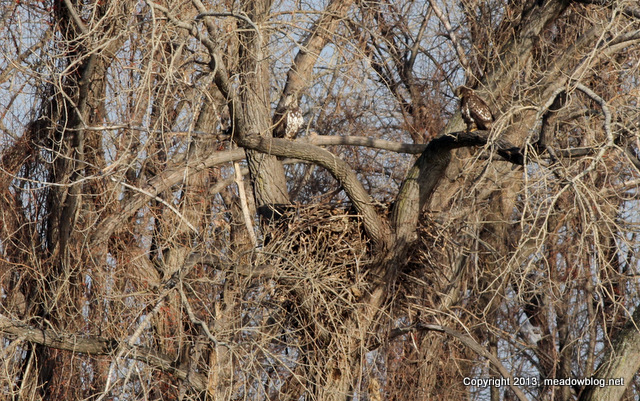 We need your Meadowlands Big Year totals for 2013! E-mail Jim Wright by clicking “e-mail us” in the right-hand column. It has been quite a year. A big thank you to all who participated. 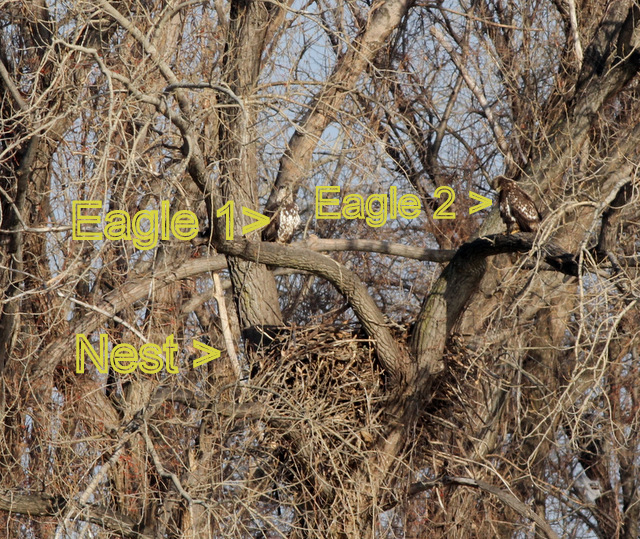 Stopped by the Ridgefield Park Bald Eagle nest twice this morning, viewing it from across Overpeck Creek. Also saw hundreds of Common Mergs in the creek. Monk Parakeet nest site along Railroad Avenue was quiet — just heard (and then saw) three parakeets fly by the nest and perch on a distant utility pole. They apparently head out to forage very early in the a.m.
Skeetkill Marsh (below) was even quieter — just a few of the usual suspects (Canada Geese, Mallards, gulls and sparrows). 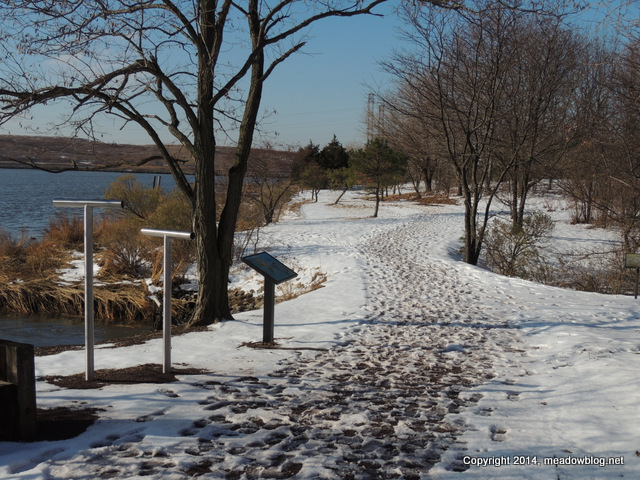 Welcome to the fifth in a series of Tuesday Teaser’s devoted to Losen Slote Creek Park, the site of our fifth annual Super Bird Sunday Walk on Feb. 2. Between now and then, we will offer a different Losen Slote-based Teaser presented by the Bergen County Audubon Society. To participate, just e-mail your answer to the Teaser each week to Jim Wright at jim.wright@njmeadowlands.gov by each Tuesday at midnight, with “Teaser” marked in the subject field. The person with the highest number of correct answers will win something or other. Today’s Teaser-o-rama stumpers are pictured above. What are they? And what better way to end 2013 (with an easy Teaser…)? In August, Mike Girone photographed a young banded Peregrine in DeKorte Park. Turns out it had been banded two months earlier in Atlantic City. Link is here. Ben Wurst of the Conserve Wildlife Foundation of New Jersey reports that the bird has now been resighted in Brigantine. That’s one peripatetic Peregrine. 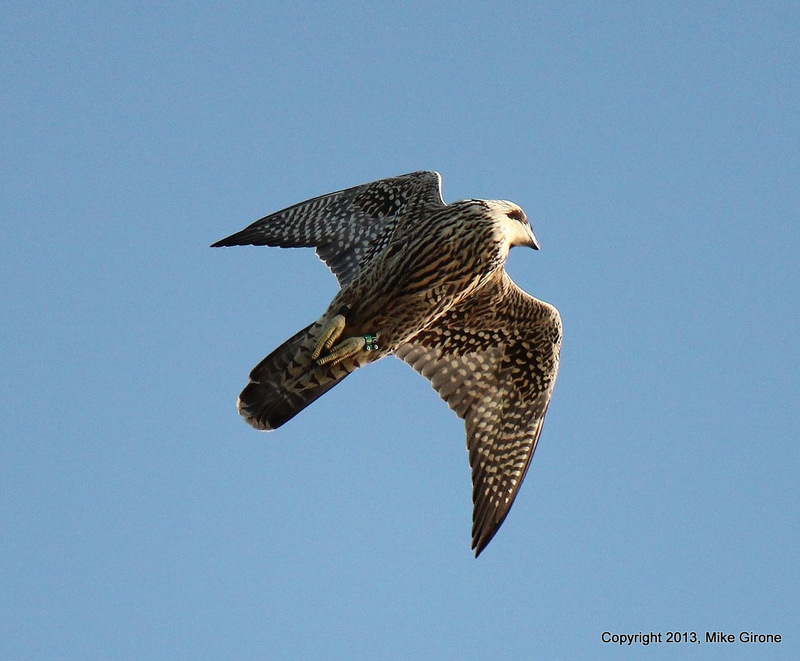 To see the state’s full report for New Jersey’s Peregrines, click here. “Had an Iceland today on the Saw Mill Creek mud flats at the T intersection resting on the ice…eventually all the gulls lifted up and it flew toward Disposal Road. 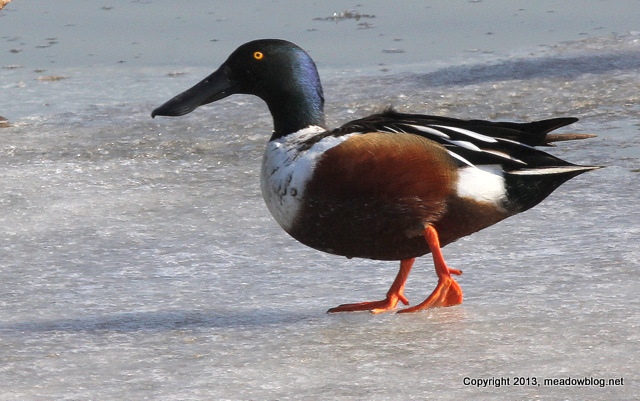 We are kicking off 2014 with a free guided walk at one of our favorite spots — Mill Creek Marsh in Secaucus. 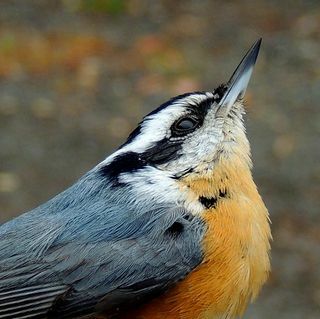 The two-hour walk, which begins at 10 a.m., is sponsored by the Meadowlands Commission and the Bergen County Audubon Society. With a new year comes a new liability release for NJMC guided walks, and the great news is: The release is absolutely free, and it’s good all of 2014. You read it right: It’s absolutely free, and it’s good for the entire year. Destined to be a classic. Doesn’t get much better than that. 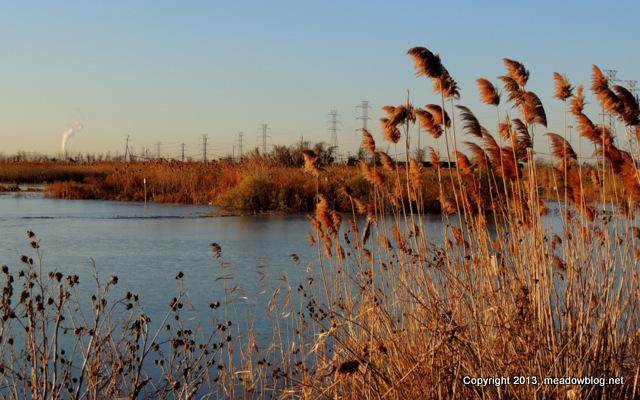 Each Monday, we post the upcoming events for the Meadowlands Commission and the Meadowlands Environment Center through the upcoming weekend. This week’s events are two free guided walks — one on New Year’s Day at Mill Creek Marsh at 10 a.m., and the other this Sunday at 10 a.m. at DeKorte Park. We thought we’d look back at some of blog highlights from 2013, and showcase some of the great photography that folks have contributed. Here’s December. (Thanks to all!) Just click on the text to link to the post. As we close out the year, we thought we’d throw out this stumper. 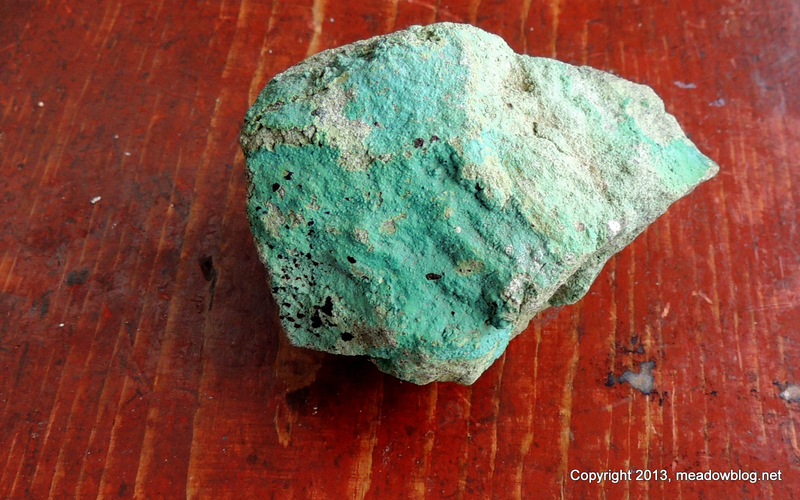 What kind of rock is this (no, it’s not Kryptonite), and where was it found?